The following are detailed specifications about the Savoy House Flat Black Ceiling Fan Without Light. Mission / mackintosh flat black indoor ceiling fanTraditional fan for outdoor spaces. 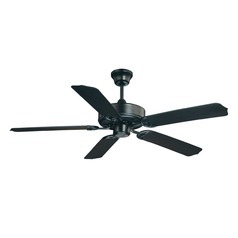 This Savoy House Flat Black Ceiling Fan Without Light is part of the $item.xCollectionName Collection from Savoy House. The following items are also part of the $item.xCollectionName Collection.